Happy Fri-yay! I don’t know how your week has been, but mine has felt so weird! Between my knee being a jerk, the dale carnegie class, and just a lot of things happening at work…I’m worn out! Today is Friday though so that’s more than enough of a reason to be happy! I bought this romper at T.J. Maxx the other day- I very rarely venture in there, but my coworker LP always finds the cutest stuff there. I think the key is to go in without a specific idea of something you are looking for…because there is so much stuff and it’s not organized, you won’t have much luck finding whatever it is that you are jonesing for. I found this gem hidden in the juniors section- Ok, I know I’m not in college or high school anymore but sometimes the junior’s section has stuff that is cute and fits alright. I really love this romper because it is stretchy and super comfortable. The scalloped hemlines are really sweet too and once I tried it on I couldn’t put it back. This weekend I think I will take time to finally tackle some home projects- like painting the frames around the windows on our doors and hanging up artwork in the living room. Maybe I will even landscape the front yard…who knows?! Hopefully it doesn’t rain all weekend. What are your weekend plans? 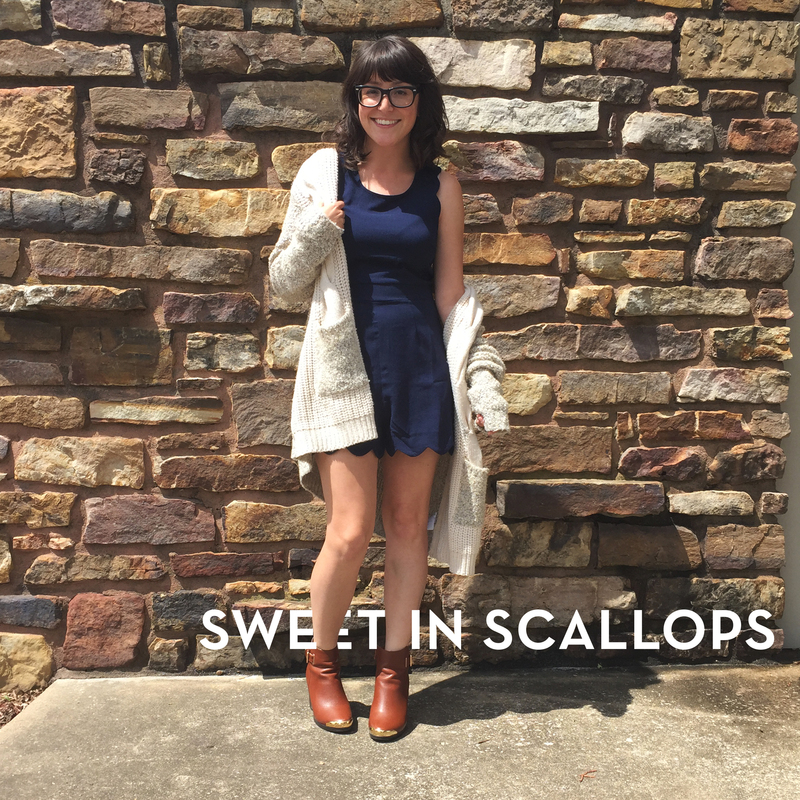 This season I’m in love with scallops trim! Thanks! Aren’t scallops so cute? I absolutely love the scallop detailing. It just adds the perfect touch of uniqueness to the dress. Don’t you just love TJ Maxx? I can stay in there for hours and not buy a thing. But I’m always happy when I do lol. You look amazing. Its super fun to shop in! There’s always so much its overwhelming! Happy Friday! You are so sweet- have a fun weekend! 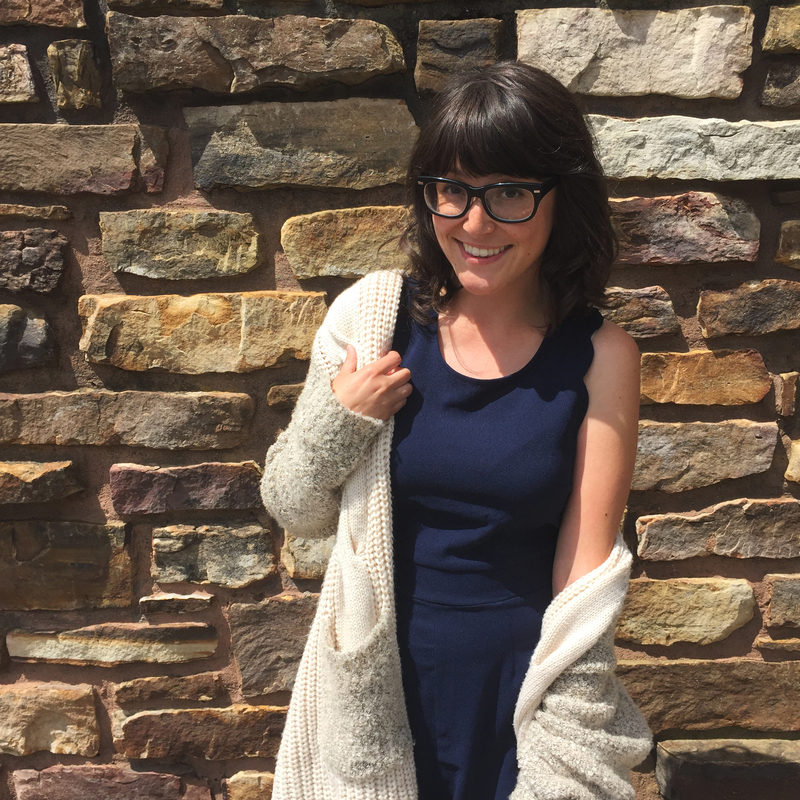 Great style post! I love the pairing of navy, cream & cognac. 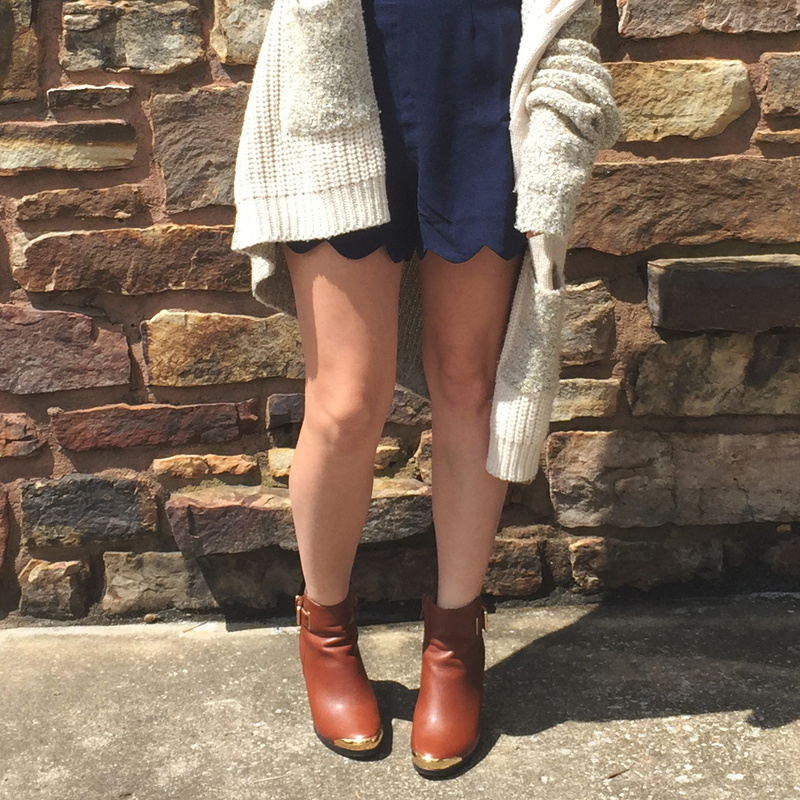 Also, I like the layers of this look, the textured sweater with the structured romper.